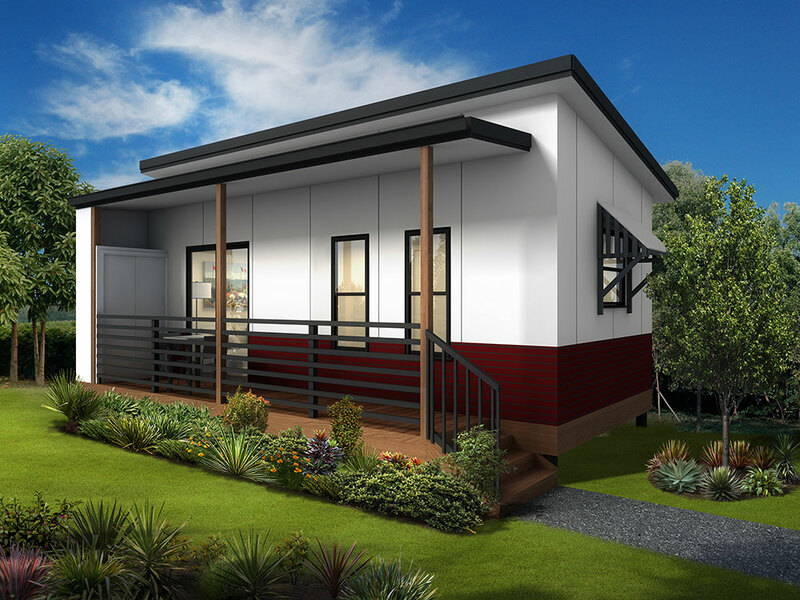 This compact little granny flat design is perfect for those with limited space and who are looking for something with minimal upkeep for a single person. 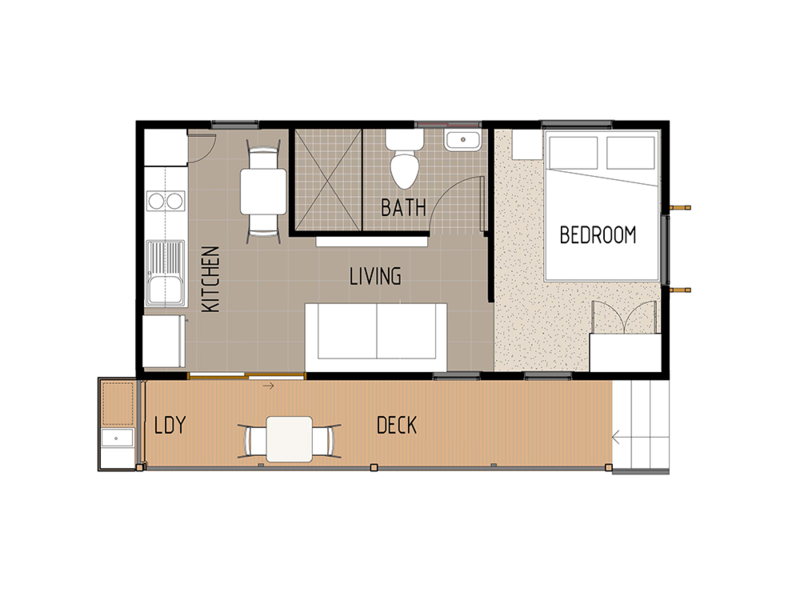 With one bedroom, one bathroom and a simple kitchen/dining/living area this floor plan has everything you need but without the upkeep of a larger space. A full length deck runs along the front of this granny flat design with the addition of a small laundry area at the end.couples.